Global Manager Group, leading ISO documents and ISO awareness as well as ISO auditor training presentation selling company is delighted to announce the launch of its new product D145 – Pre Entry Level for Hospital Accreditation Documentation Kit. To help Hospital that having facilities above 50 beds for patients, we launched the Pre Entry Level for Hospital Accreditation Documentation Kit. 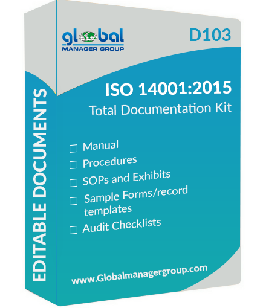 It provides a complete set of mandatory and supporting pre-written documentation templates to reduce the time spent developing documentation. This Pre Entry Level for Hospital Documents prepared by highly technical team of NABH consultant and ISO auditors from Global Manager Group, and taken care of each requirements of the NABH standard. In contains documentation such as Hospital Manual, System Procedures, SOPs, Forms and Templates, NABH Audit Checklist, etc. Mr. Devang Jhaveri, Director of Global Manager Group said “The Total Documentation Kit for Pre Entry Level for Hospital can be a unique tool to learn implementation of NABH Certification.” He also added that the Hospital Manual and other documents shall help user to create documentation for their organization in just few clicks. Moreover, the information can be edited so that you can draft your Pre Entry Level documentation quite easily as well as prepare the entire documentation fast which saves your valuable time. Global Manager Group has introduced this product online at very compatible price of just 599 USD. Download a Free Demo of the Pre Entry Level for Hospital Documentation kit to find out more about how it can help hospitals meet the NABH requirements.